Wholesale agate with peel semi-precious stones dyed. It is dyed natural stone. 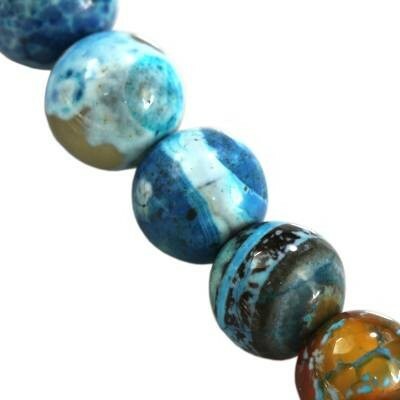 Each stone bead is unique and has various patterns and shades. Shape, size and colour may vary. Check out our DIY courses with this or similar product. Telephone customer service is open weekdays from 9 to 15 CEST.